If you think a glass of sparkling with few nuts and chips will do fine before the meal, think again. 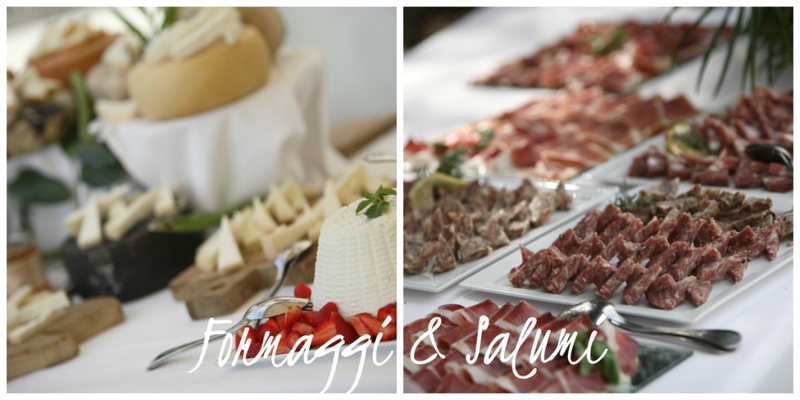 True Tuscan wedding aperitivo is a feast! It hits you in the eye like a big pizza pie. Italian aperitivo is a dream-like vision of delicious food set up in a beautiful way, that keeps coming and never makes you feel stuffed. It is a happy hour from heaven. Aperitivo means of course ‘appetiser’. Something that wakes your appetite. That is the genius part of it, you eat to get more hungry! Two hours of pure paradise before getting seated in dining tables. (Yes, you will eat more!). 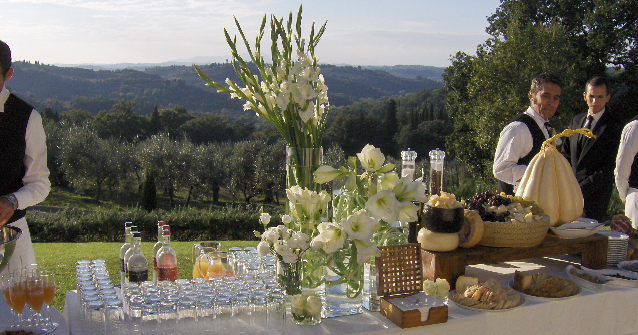 The Setting: As everything in an Italian wedding, also the aperitivo is a work of art. It is planned in the most beautiful spot at the venue. Weather permitting, the aperitivo is set up outside in a panoramic space, in a roof terrace or in the garden. You never know how the weather will be, so it is a good idea to reserve a nice Plan B for this part of the event, where people have space to mingle and chat while they enjoy the food. It should not be the same space where you will dine later on. Dinner area is kept as a surprise! The Buffet: The aperitifs are often set up on long buffet tables. Sometimes corners, like small food stations, where different things are served. Some dishes are served cold, others warm. The buffet starts with a welcome drink, a cool sparkling Prosecco and few nibbles to go with; Parmesan cheese flakes, salted almonds, crostini breads or mini quiches. The classic ‘Tuscan finger foods’. You might need a plate when visiting next food corner with a selection of cured meats and a cheese corner with different mustards and jams. While you go around sampling your food, also the waiters go around serving freshly prepared dishes from a tray, such as deep fried vegetables, warm bread and mini pizzas or tiny glasses of vegetable soup, mousse or ‘pappa al pomodoro’ (cold tomato bread soup). The portions are small, you can have another, don’t be shy! Sometimes the dishes are prepared in front of the guests;. Great and entertaining show cooking! 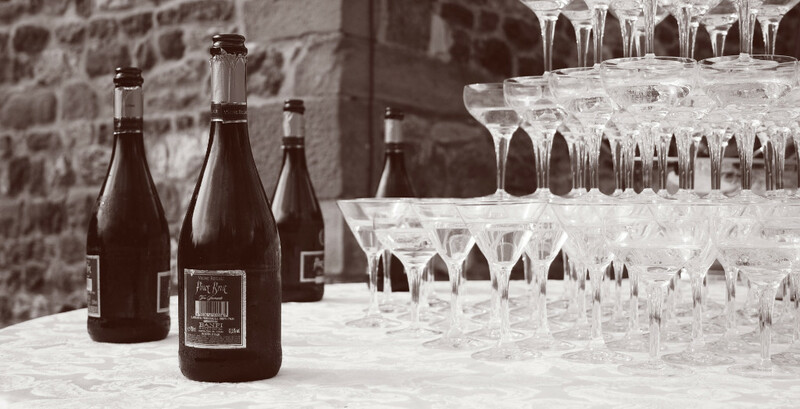 The Beverages: Traditionally during aperitivo there is served Prosecco, (dry sparkling white wine), and other selected white wines, fruit juices and water. Sometimes classic Italian cocktails such as; Bellinis, Rossinis, Spritz or Negronis.